You’ll find that once you’re a welder, you are needed in a variety of industries. Anywhere metal needs to be permanently joined, there’s a welder involved using one of the hundreds of different processes known to the profession. To be a successful welder, you will need qualities like strength and stamina; it’s a very hands-on job that may include some heavy lifting and staying in one space for prolonged periods. Spatial relations and technical skills are extremely important, since you’ll be using diagrams and equipment for precision. Most employers will expect you to have either a high school diploma or a GED. 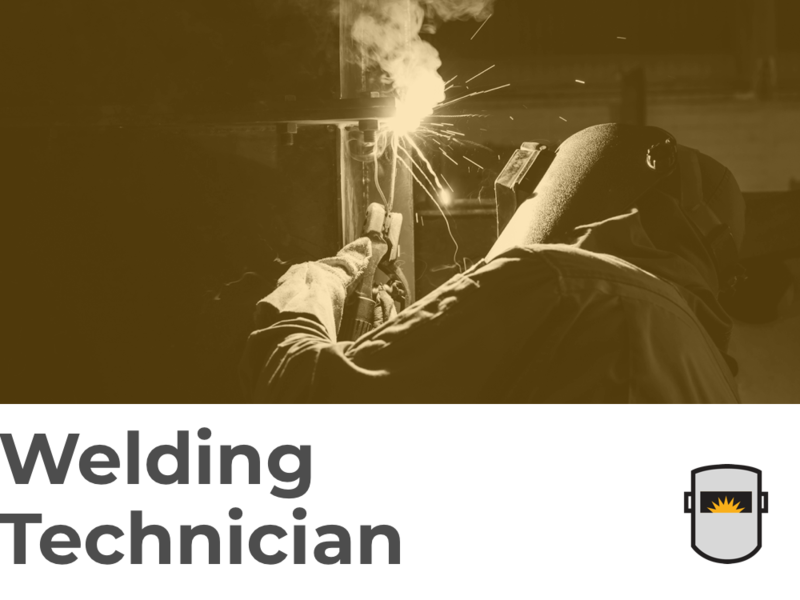 During your welding program, you’ll receive both technical and on-the-job training. There are a few different ways you can go about getting your welding education. If you go through a trade school or community college welding program, you’ll earn a welding certificate or associate degree—either of which most employers will expect. In some instances, however, employers will overlook lack of education if you have good experience. Certifications are available and recommended: Certified Welder through the American Welding Society, Certified Welding Inspector, and Certified Robotic Arc Welding. Some employers will offer to pay for you to become certified. If you go through an apprenticeship, you’ll start earning while you’re learning the trade. Typically, it’s a percentage of what a certified welder earns. But, as you gain more experience, your apprentice salary increases. Once you’re working as a full-on welder, your entry-level salary will be more than $27K, according to bls.gov. Mid career, you can expect your yearly income to hit $43K, with the top ten percent earning more than $63K. Welding is one of the skilled trades careers that is suffering from a lack of students going into it. The field is projected to be experiencing average job growth through 2026, with over 22,000 new positions needing to be filled. As our infrastructure ages and repairs become necessary, welders with some professional background will be able to fill in these positions.